I've always loved the classic star polygons you get by skipping a constant number of vertices around a hoop. 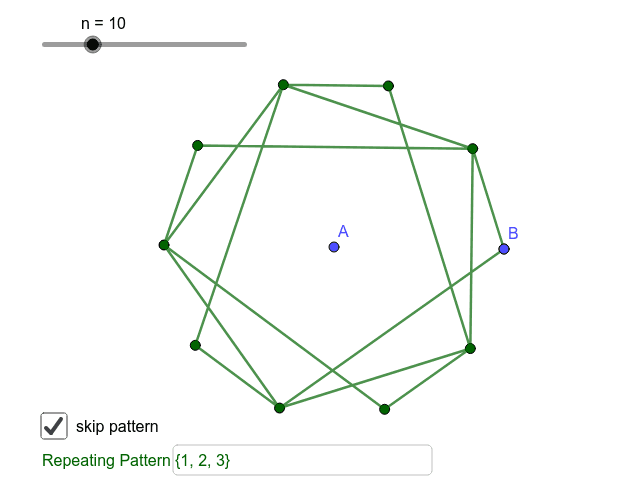 (Here with n vertices and skipping m). But I got wondering what could happen if you skipped in a repeating pattern... 1,2,1,2,1,2,... for example. So this applet can do that, too.